MyGate, a mobile-based security management solution for gated premises, has recently forayed into Hyderabad, and secured over 28 gated communities in the city thus far, comprising nearly 15,000 flats/villas. 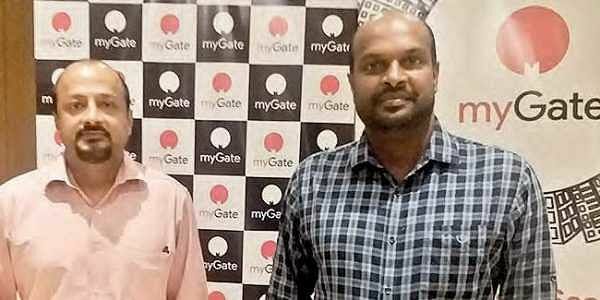 HYDERABAD: MyGate, a mobile-based security management solution for gated premises, has recently forayed into Hyderabad, and secured over 28 gated communities in the city thus far, comprising nearly 15,000 flats/villas. myGate comprises an Android app for the security guards and an Android or iOS app for residents, with a fallback to a regular voice call for non-smartphone users. With this system, all visitor entries and exits are approved and logged digitally, with complete visibility and control to the residents. myGate also offers several advanced capabilities such as e-intercom (automatic visitor authentication), child safety alerts, staff attendance, infrastructure-free vehicle management, touchless resident identification, clubhouse access management, management reporting, visitor overstay alerts, etc. Apartment complexes can deploy myGate security solution in less than a week without any investment in hardware or capital. The security device is provided in a ‘pay as you go’ pricing model. The startup also provides and manages the training of facility staff, security guards and building association members. The solution can be deployed in a multi-tiered system where there are multiple security checkpoints, viz. at the main gate and at the building gate. myGate also helps manage visitor car parking without compromising on the space reserved for other residents. The startup has opened an office in T-Hub, Gachibowli and is looking to secure more than 400 communities in the city by the end of this year.